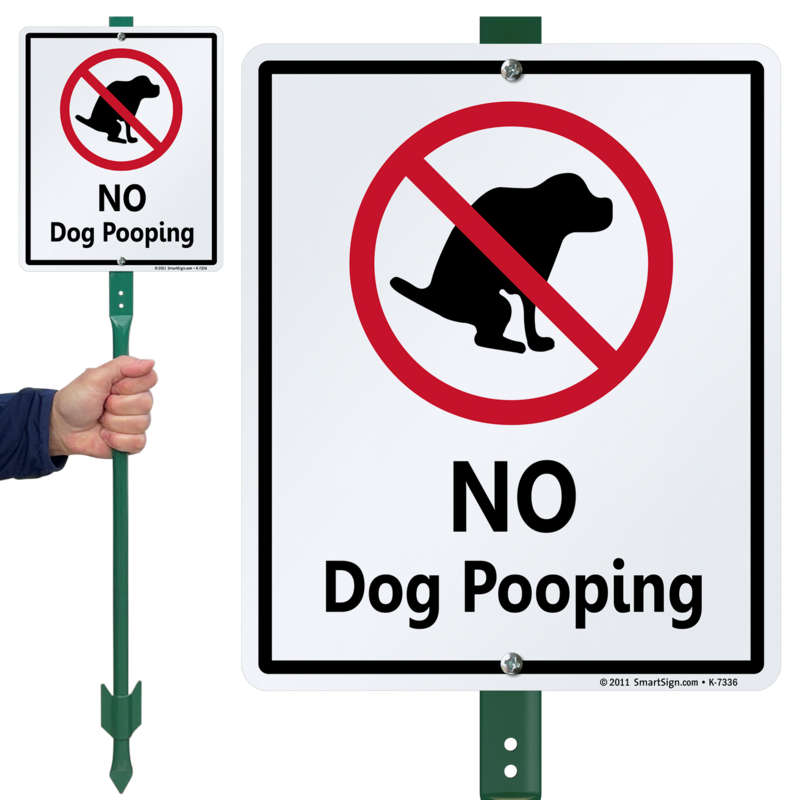 Post this No Dog Pooping Sign to make sure your property is kept clean. 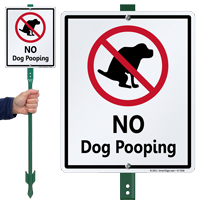 This will keep pet owners off of your property and aware of cleaning up after their dogs. This image makes your message clear and ensures no communication barriers. The sign is well made. Very sturdy and was very easy to assemble. This is so cool with a great deal! A very simple, effective sign. Signs are easy to assemble and to place in the ground with the stake.